Scott Frost has made it clear that his goal is to take Nebraska back to where the program was during his playing days. As part of that process, Frost hopes to grow his roster far beyond where it has been the last several years. “That’s something I’m still working out with Bill Moos,” Frost said. “Nebraska’s been known for a long time for having a lot of players on the team, a lot of walk-ons on the team. I’d like to get back to that. The best thing Coach [Tom] Osborne did with all those players was everybody practiced. It wasn’t 22 guys practicing and everybody else on a knee and holding their helmet. It was 88 guys practicing at the same time. Part of that is what led to the development of players and helped walk-ons and young players get better faster and get out on the field and help the team. How many players does Frost want on his roster? “One-hundred-fifty, maybe a little bit more,” Frost said. “Most teams don’t carry that many. I think Nebraska was about 135 last year. We’re going to see if we can find a way to get more on the team." For comparison’s sake, the official rosters on Huskers.com from the last three years under Mike Riley show 129, 131 and 129 players. 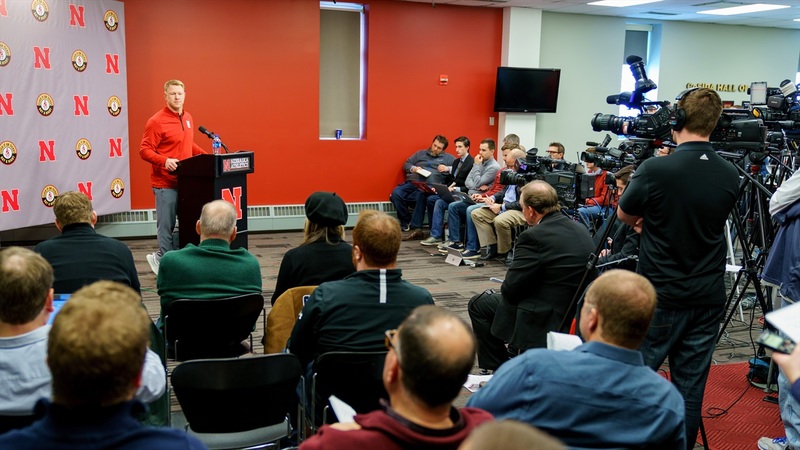 Twenty more players is a significant expansion, but Frost isn’t worried about being short on manpower from a coaching standpoint if he gets his wish. “We can do it with 10 [assistants] and we have an army of people in our office,” Frost said. At the end of the second signing day, Nebraska’s 2018 scholarship recruiting class stood at 24 players. Nebraska also added three transfers — one on scholarship in Breon Dixon, one who will walk on for his first year before being placed on scholarship in Noah Vedral and one who will simply walk on in Lane McCallum. Nebraska’s preferred walk-on class has grown to 20 as well, pushing Nebraska’s total of new players to 47 after Wednesday. However, Frost said they didn’t take guys just to pump up the numbers. The 20-man preferred walk-on class is more than twice what Riley brought in each of his three years in Lincoln — nine. However, don’t expect this size of a class every year. In about two months, Frost managed to grab commitments from nearly 50 new prospects. With this being his transition year, that likely bodes well for what the new Nebraska staff will be able to accomplish on the recruiting trail in the coming years. The Frost Effect is real indeed, and if he gets his way the Nebraska sideline will be a bit more crowded on game days moving forward.